So, as a way to force my hand in transitioning over into being more fancy, I’m thinking about participating in No Pants November. Is this doable? Am I going to get sick of it? Yes to both, probably! I’ll obviously still wear pants to clinicals, since my scrubs are pants only and no old-fashioned white skirts. And I’ll probably still let myself wear jeans on weekends. But the workweek? NO PANTS. 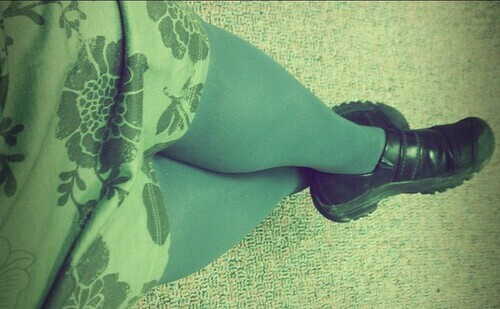 This means I need to seriously stock up on tights and skirts/dresses, and my budget is nil. Hmmm, time to start looking for sales.